Medan, Indonesia. The place my three million neighbours and I call home. A quick online search of the place unearths disgruntled traveller comments such as “the most unpleasant, charmless and thoroughly depressing city I’ve ever encountered”, and “a scary, dirty hole” where “anything you try to do there turns out to be frustrating”. One blog post even calls it the worst city in the world. But even though there’s a certain truth to these reviews, living here teaches expats like me to filter out the city’s less desirable traits. I’m from Wales, UK and have been playing ultimate for eight years and teaching English abroad for four. I came to Medan ten months ago thinking it would be a great way to round off my experiences abroad. How naive! Living abroad means surprises around every corner, and those corners cannot be rounded off. Despite this, those that stick around in Medan are rewarded with good food, good company, and in my case, novice ultimate. My team, the Puffins, have overcome a great deal to get to the stage they are at now; from me just tentatively throwing a disc around, to a group of young men and women from all different backgrounds having fun and working together to improve. Tourists passing through dislike Medan because it seems that locals just don’t care about the city they live in; piles of trash burning on the roadside next to open sewers is not exactly welcoming. 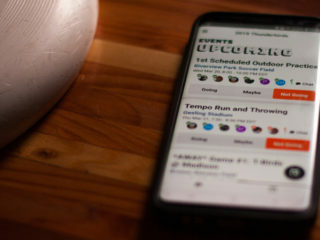 This reputation of slow progress and neglect stems from a fractured culture; a culture which has prevented ultimate from gaining significant traction. For comparison, ultimate was introduced to Indonesia and its neighbour Malaysia around the mid-nineties. The capital of Malaysia, Kuala Lumpur, has 1.6 million people and around 1,600 ultimate players. Indonesia has a population of 250 million people and approximately 300 players. A mere fraction! So why is it so difficult for ultimate to find a foothold in this incredible, yet flawed nation? Culture is a good place to start. Most Indonesians have a strong sense of family and community. Unfortunately, only the former applies in the city of Medan, a melting pot of religions and ancestry, deeply suffused with historical feuds. The various communities tend to be suspicious of each other, which has led to an attitude of self-preservation, as opposed to everyone chipping in for the greater good. This attitude serves to reinforce the already significant strength of family bonds, and the belief of protecting one’s own. So how does this affect playing ultimate? Well, this strong family bond means children tend to live with their parents until they are married. Until then (and often afterwards) they are controlled and influenced heavily by their elders. A 30-something that I know with a regular job has to be home by 9pm, as that is her curfew. She doesn’t see this as restrictive, but completely normal. This means that any ultimate training that finishes later than 8:30pm is an issue (which is particularly problematic due to the hot climate). The culture preaches a lot of misconceptions that aren’t conducive to playing sports, and some folks even think that it is detrimental to your health. I believe this is due to the expensive and second-rate healthcare. Got the flu? You need a massage. Broken ankle? You need a massage. Been riding your motorcycle without wearing your jacket backwards, allowing poisonous air to enter your chest through your pores and destabilise your body’s natural processes, leading to a condition known locally as “enter wind”? You, my friend, need a massage. During the inevitably slower recovery from injury due to inadequate health care, the sufferer cannot work and earn money, all because of some sport? No thanks! Overprotective parents don’t do anything to help the issue. One of my female Puffins got a disc to the face and came away with a shiny black eye. A minor condition in comparison to most, yet her mother told her she cannot play any more as the sport is too dangerous. Oh, the brutality. Fear of the unknown is prevalent in Indonesia. One of the reasons I believe Indonesia is behind Malaysia, Singapore and Thailand with regards to its development is a lack of open-mindedness to try something new. They like their tried and tested foods, ideologies, and of course, sports. Unfortunately ultimate is neither tried nor tested, and therefore comes up against many barriers. Before I started the Puffins, I couldn’t get anyone to meet up and play. In the end, I had to deceive my future team by playing futsal (a local variation of football) with them, and then casually breaking out a few discs and chucking around. By the end of the two hours I had even got a very basic game going. Of course, most of them only turned up for the last half hour, which leads to the next big cultural difference: time. Indonesians don’t operate on our silly, stuck-up, rigid version of time. They prefer what they call “elastic time”. This means that if I arrange to meet at 2pm, people could come at any time between 12 noon and 5pm, usually the latter. Excuses come in a range of options, including (but not limited to) traffic, being asleep, and eating. As one can imagine, trying to get all the Puffins together under these circumstances is tricky to say the least. Couple this with prayer 5 times a day (most Indonesians are Muslim), parental curfews, and the climate, and it’s virtually impossible to cater for everyone’s needs and keep everyone happy. A final point on culture relates to communication. As a bule (white foreigner), I have substantial status in the community by default and am treated like a celebrity. Sadly, this means that many locals are slightly intimidated by me, and also do not want to cause offence or lose face (a concept found in many Asian cultures, Indonesia being no different). Therefore, people will often tell me what they think I want to hear as opposed to the truth. My beginners will say they are coming to training, even if they know they won’t. They will say any training time suits them, even if it doesn’t. They will even tell me that they love suicide drills. And we all know that’s not true. Most players know that the best way to get beginners really interested is to get them to a tournament. As the nearest team, let alone tournament, is a two hour flight away, this proves a little challenging. This was exemplified when I signed the Puffins up to a tournament in Malaysia. After receiving a lot of interest from various players, the month before the tournament arrived and one by one, my roster dwindled to zero as excuse after excuse piled up and parent after parent said no. I ended up asking for pick up players on the Kuala Lumpur ultimate Facebook group. Twenty minutes later, I already had a team and a waiting list. If only it was that easy in Medan! 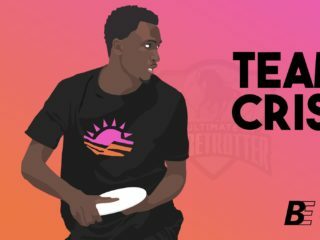 The harsh Indonesian climate doesn’t do anything to help ultimate’s case. The country has an average temperature of 27 degrees Celsius (80 degrees Fahrenheit) all year round. The Puffins are not used to running around in this heat, and encouraging them to do so for two hours (including Muslim girls who cover all but their faces) is a challenge. Couple this with the lack of fitness and fear of sport, and it’s clear that Indonesia isn’t exactly a breeding ground for eager ultimate players. Of course, with only a few rebels interested in sport comes a severe lack of facilities. The Puffins are getting a tad fed up of being shunted off public football fields, being asked for bribes in order to use free spaces, and herded out of paid-for facilities by those with power. However, after several months of this, one of my players came through in a big way, as her company has a private futsal field which we now use. Fast forward to now: I have a team, a real ultimate team. We practice regularly, and most importantly, people are having fun. In terms of abilities and skills, though, progress is much slower than what I’m used to in the UK. After six months as a team (although with inconsistent attendance), with much shouting and gesticulating, only some Puffins understand how to form a basic stack, and fewer still remember there is a stall count. I believe there are two reasons for this painfully slow progress, neither of which is the fault of the beginners. Firstly, I am one of just three experienced players, the second being a friend from back home, and the third an American I met here. Usually, beginners progress faster if they can see how it should be done. In their minds, why should they bother marking properly, or try to understand forcing if the receiver is just going to drop it anyway? Lack of experience and lack of modelling of “good behaviour” greatly limits what the enthusiastic Puffins learn in our already limited once-a-week sessions. The second reason is much more deeply rooted in society. According to research, the average standard of education here has been marked as “found wanting”, which is putting it mildly. Indonesian students are worked to the bone – they get about three weeks off a year and go in on Saturdays – yet learn extremely little. Teachers write on the board – if they even turn up – and the kids copy it. That’s it. Students don’t ask questions for fear of losing face and are never expected or encouraged to think creatively. This definitely has an impact on learning ultimate. When I was a beginner and my throws were shoddy, I asked myself why and took the appropriate action to improve my form. My Indonesian players, on the other hand will never try to tweak techniques or rectify problems themselves, instead needing prescriptive instruction on every detail. “Stack! Stack!” I have to shout upon each turnover. If I sub off for a point, there is no thought of “Hang on, perhaps we should keep doing this stacking thing even if Chris isn’t on the field”. No, it’s a headless chicken scenario again. Other bules who have never played before quickly pick up fundamental aspects such as running into space to receive a pass, as opposed to standing rooted to the spot and frantically waving their arms. It’s not that the players lack potential, it’s that the Indonesian education system has never taught them how to develop it. After a tiring but rewarding journey, we have 66 members on our Facebook group, awesome team jerseys, and slow but definite improvement. I have to admit, I often ask myself if I should persist with my goal of forming a team that will continue when I’m gone. Should I spend so much energy and time on this, and what benefits can I see? Well, despite all my musings, and the problems the Puffins have had to overcome; it’s worth it. For one thing, these various cultures that might not have mixed before are forgetting their differences and enjoying something new. For another, they are learning about teamwork, fair-play and all the other things ultimate teaches us. I am proud of not only what I have achieved, but also what the Puffins have achieved. With all these differences between my culture and theirs, they still come to training, and they still play ultimate. It brings us together and we all have fun. And that, after all, is what it’s all about.